I know I haven’t been writing as often as I should and I apologize for that. If you’ve been thinking it’s because of non-stop action, you’ll probably be disappointed – really I’ve just been kind of lazy after some busy days. Well, first I was sick in Thailand, and then I got lazy. We’re now about 8 weeks into the trip and the novelty of long-term travel may be wearing off just a bit. What’s left is a ton of fun, but also bunch of interesting problems to solve and I’m going to try to write about those in some upcoming posts – visas, choosing places to stay, deciding where to go next, and when do we pick up guides. First, I just have to say that Hoi An, Vietnam is amazing. It’s a beautiful marriage between beaches and farmland, but also a fun place to set yourself down in for an adventure-filled or relaxing week – or for most travelers, a combination of both. Most of our days start off with breakfast at our guesthouse (which is awesome, but more like a hotel than a homestay) and then Jason and I set off on our 110cc rented motorbikes before it gets too hot. 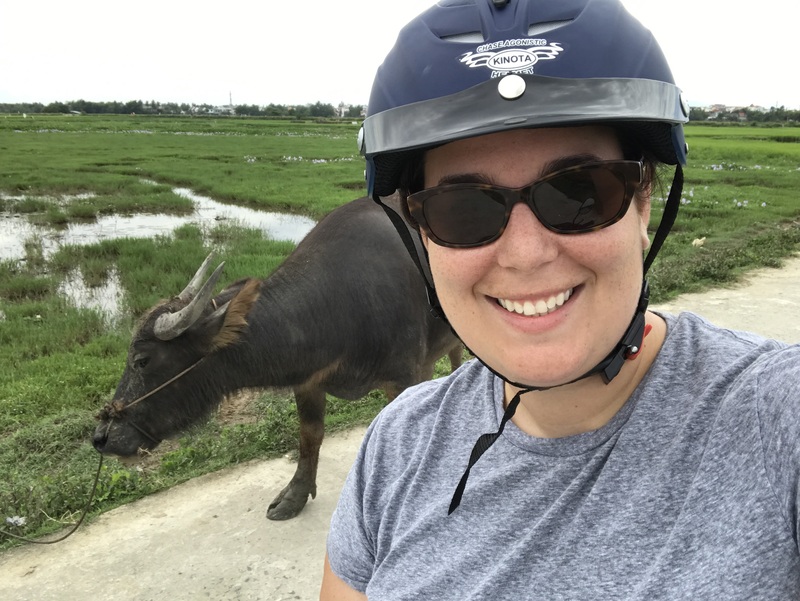 The first time we did this, we were planning to take the suggested bike route on the map provided by the guesthouse, but we found a small bridge leading to some rice fields and just decided to run with it – it’s been one of our better decisions. Hoi An is small enough to know that no matter where you wind up, you’ll always be able to get back okay. 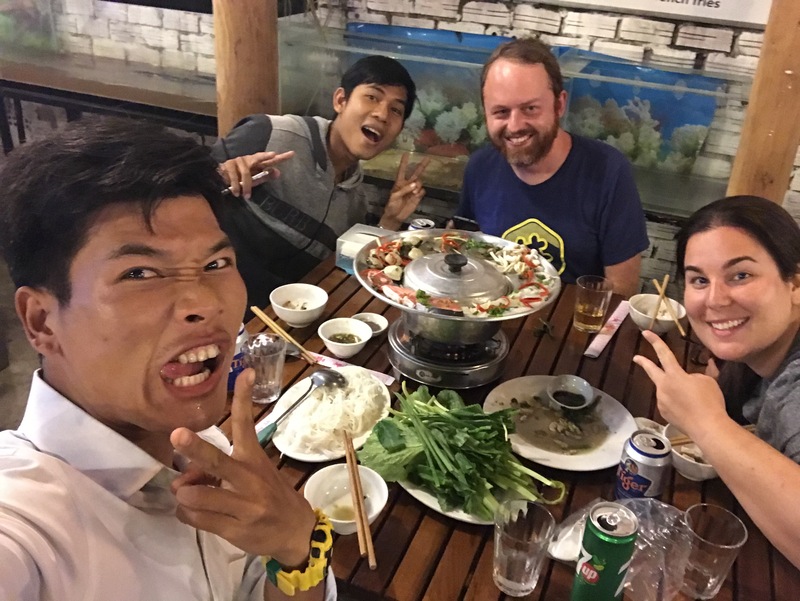 The food in Hoi An is great (even if I’m missing the pho of Saigon) and the locals are super friendly. The downtown (or Ancient Town as it’s called) is a fun place to walk around at night and I cannot get enough of riding through the farms during the day. 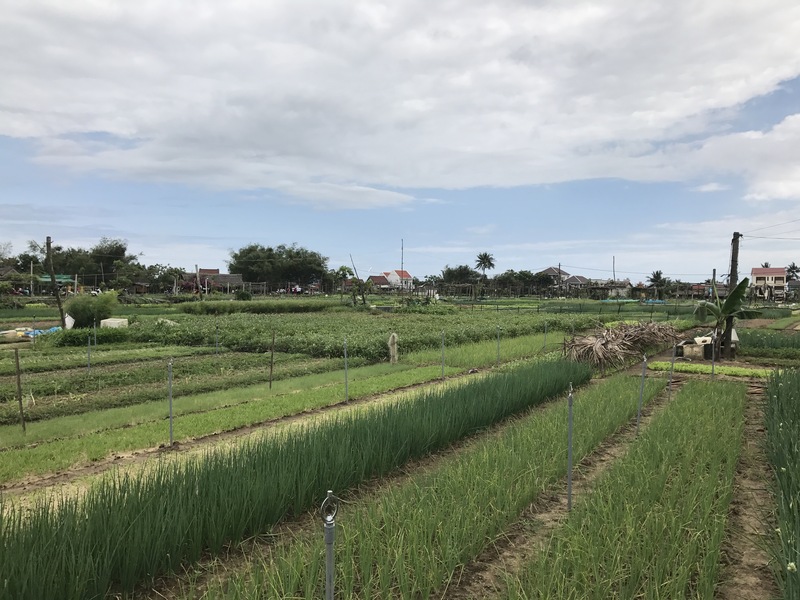 We also took a day trip with a guide to the My Son Sanctuary with stops to see some smaller local villages and went out one night for a food tour where we got so full I could only eat two bites of dessert! Afternoons and evenings are often spent back at the guesthouse, relaxing in the pool talking to other travelers, or lounging in our room doing normal stuff – getting lost on the internet, watching TV shows (I’m loving this season of Survivor,) and playing video games. They have a good restaurant here, there are a few more within walking distance, and since we don’t ride the bikes at night, we can take a taxi to the Ancient Town for about $3. 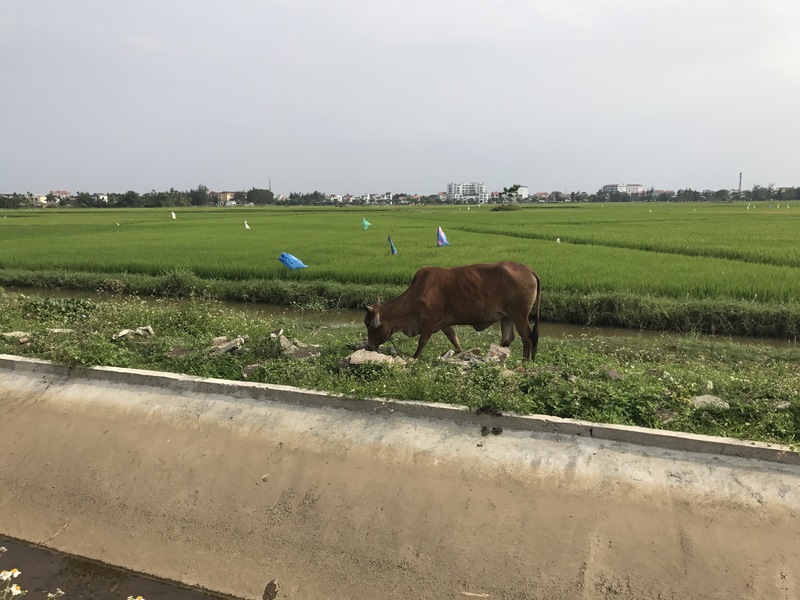 Now to talk about a “problem” with open-ended travel when you unexpectedly find a country as engaging as Vietnam – our visas. 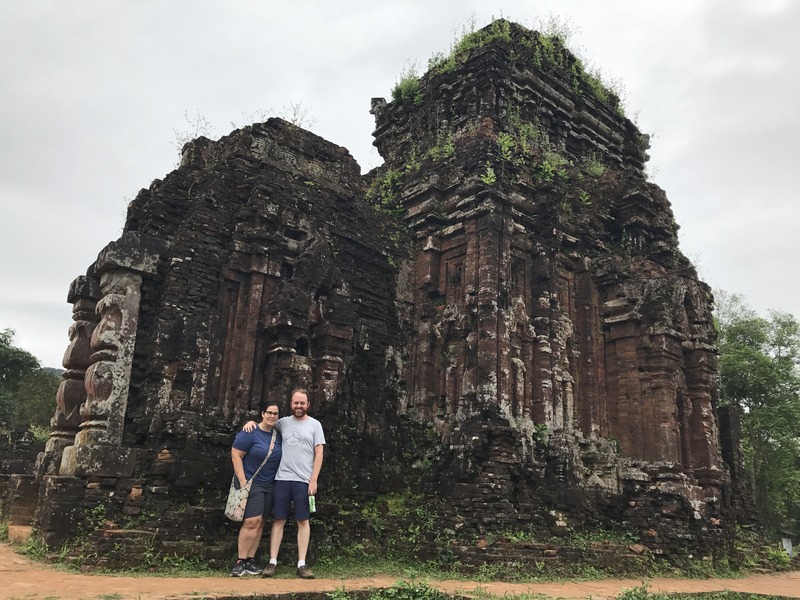 When Jason and I chose Vietnam as our next destination while in Thailand, we expected to spend 2-3 weeks here, so there wasn’t any concern about the one-month e-visa. We had the opportunity to use the more involved and more expensive 3-month visa-on-arrival, but didn’t see any reason to. Well, here we are on day 20 and if we commit to leaving on April 15th when our visa expires, we are going to miss out on at least one place we want to see. Extend our visas. Vietnam immigration is like a mystical black box where once you find an agency willing to work with you, you are told to close your eyes, spin around a few times, and when you open your eyes they will have the answers as to the cost and how long it will take. I’m not kidding – there doesn’t seem to be a rhyme or reason as to what the process is or the price. I’m convinced it’s just a question of whose palms they need to grease to get it done and every agency has different connections. Do a “visa run” where you take a long bus ride to Laos and then re-enter Vietnam with visa-on-entry the following day. Many people on a tight budget will do this, but Jason and I don’t have the willpower to endure it. The bus ride is pretty terrible and the border towns seem … “sketchy”, to use a term from my high school years. We also considered flying to a nearby country (Singapore, Laos, and China were all considered) but this is more expensive than just doing the renewal and who wants two additional air travel days if you can avoid them? So what’s the answer? Right now we are planning to choose option #1. Our Ha Long Bay cruise booking agency agreed to handle our visa extensions for $120 each and it should take about 7 days. Why did it cost $25 for the initial one-month visa and $125 for a one-month extension? Great question, but one that will have to go unanswered. I’m planning to write another post this week where I catch you up on where we’ve been so far, since we’ve attracted a bunch of new readers with over 150 likes on facebook! 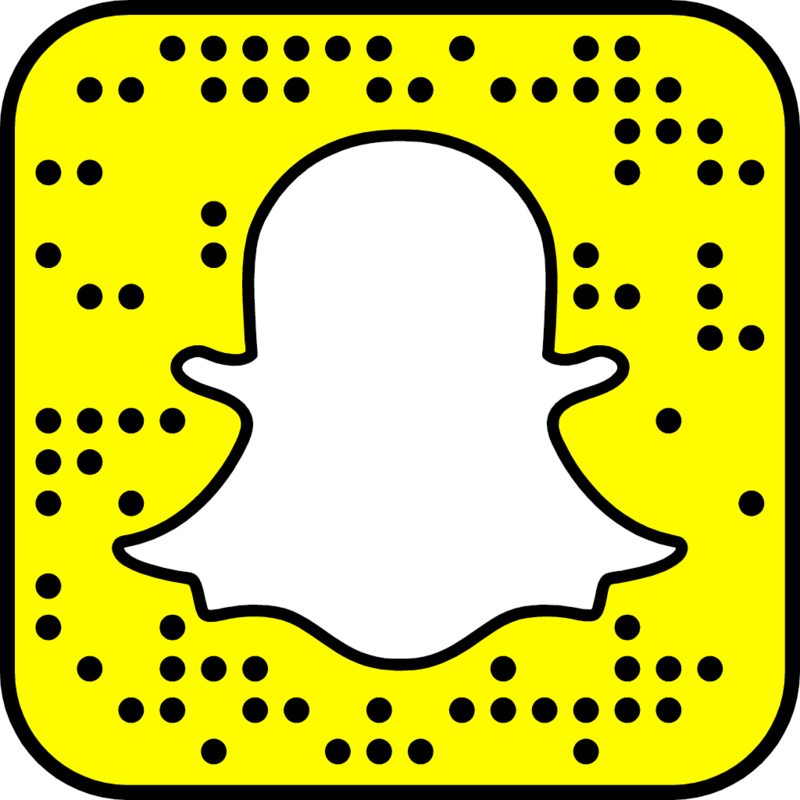 If you find these posts interesting please like, comment, and share! And I still want to do a packing post, where I share with all of you what I brought initially, what I recently sent home, and (at least) one thing I wish I had!